Acropolis strongly believes in supporting classroom teachings with industry practices. 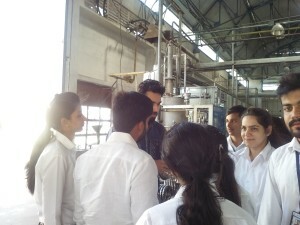 Keeping up with the commitment to provide the latest state of art education to our students , the institutes often complements classroom teaching with industry tours. In line with the same, an industrial visit had been organized for the students of MBA (Sem I and Sem III- Operation Stream) to Gajra Differential Gears. 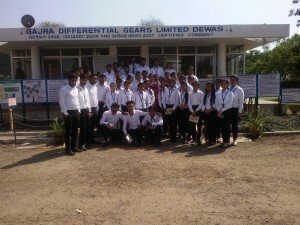 Gajra Differential Gears manufactures a wide range of Crown Wheel and Pinions, Bevel Gears, Bevel Pinions, Spider Kit Assemblies and Differential Cages and Housings. The company has a self-contained setup with modern equipment, a competent R&D team, trained manpower, and in-house manufacturing of cutting tools, jigs and fixtures. 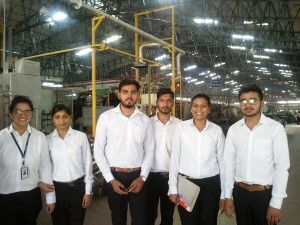 During the visit, the students were very eager and excited to know about the various production processes and facilities in a batch type production system. They could see the work flow, machinery, material handling equipments and the layout of the place and realized how these are interrelated. In any shop floor , the real challenge is to increase utilization of resources and optimize their use. 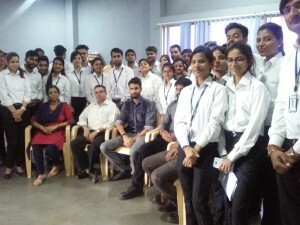 The students witnessed many such challenges of the shop floor and construed the need and importance for operations management. Although sites we backlink to beneath are considerably not related to ours, we really feel they may be really really worth a go as a result of, so have a look. Although web sites we backlink to below are considerably not connected to ours, we feel they’re in fact worth a go by means of, so have a look. The information and facts talked about in the report are a few of the most beneficial accessible.